What a wonderful town in which to enjoy a stroll. Thanks for the quick tour with your great shots. Have a wonderful day. I love your photos, lovely colours and scenery. Wow i like all the shot very pretty. Happy SOOC Sunday. I like the dark shadow on the steps and the white of the sand. I'm jealous, too! I miss the ocean so much. 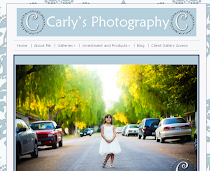 Your photography really brings it to life! I like this place pretty. Happy SS! Awesome shots! Love that white sand and blue water. Have a great day! How beautiful! Lots of bright color, but I really love that black and white! A day at the beach and then a stroll through this beautiful town...what could be better? I've never been there. Thanks for the tour! Wonderful scenes and photos of St Augustine! The northern Florida shore is beautiful! The azure Atlantic is lovely, and the beautiful architecture has a nice Spanish style. A wonderful getaway! Love the pictures Carly. I cant pick a favorite!! They are all fabulous. What a beautiful place to live! You can get to a couple of retention ponds in 5 minutes from my house lol!! Wow, a beautiful series of photos. No favorites here - I love them all!